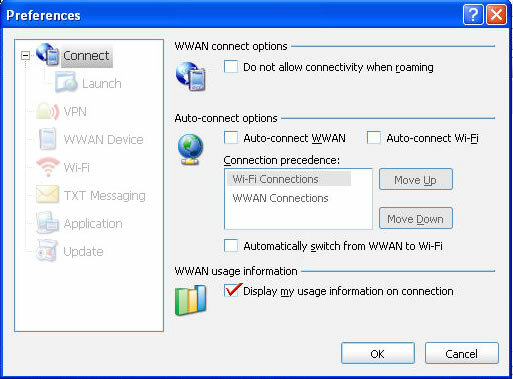 Click Start > All Programs (Programs) > VZAccess Manager. Click Connect then select the desired option(s). 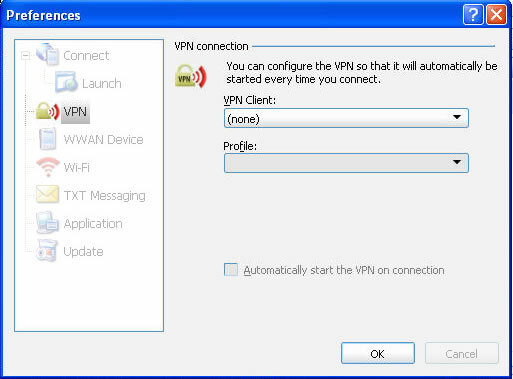 Click VPN, select the desired option(s) then click OK.